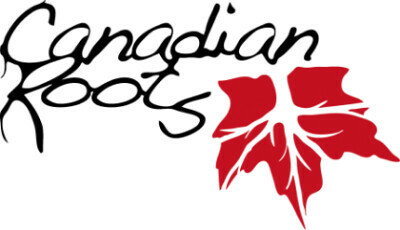 some fabulous workshops including Project of Heart and Justice for Indigenous Women. BCTF members as well as support staff from many districts participated in the Stolen Lives Conference to bring to light the many forms of domestic human trafficking. The opening welcome by Kwantlen Elder Lekeyten set the stage for the many informative presentations by Melissa Hyland, Charlene Bearhead, and Victor Porter. 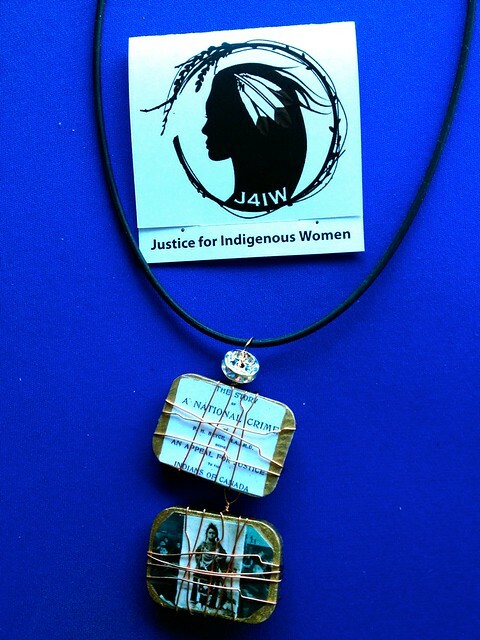 The day ended with a healing ceremony which included participants creating witness pieces for survivors at the Truth and Reconciliation closing ceremony and in support of a new initiative of Project of Heart, Justice for Indigenous Women. 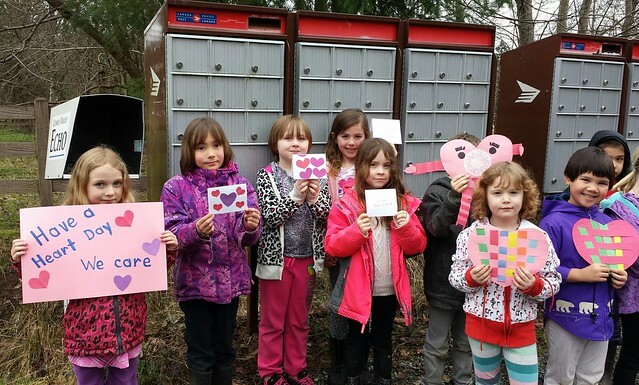 Twenty-one Arden Elementary Grade 1 and 2 students wrote to their local Member of Parliament and to the Prime Minister. 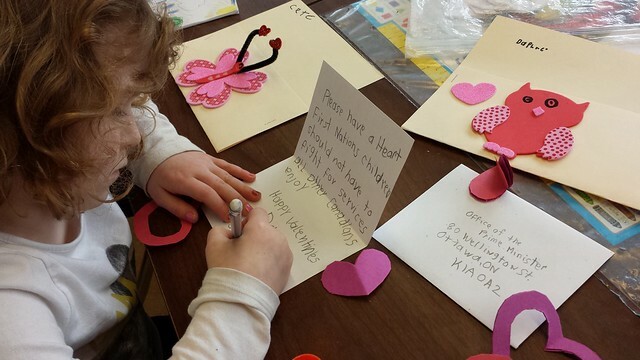 First Nations children should not have to fight for services that all other Canadians enjoy. 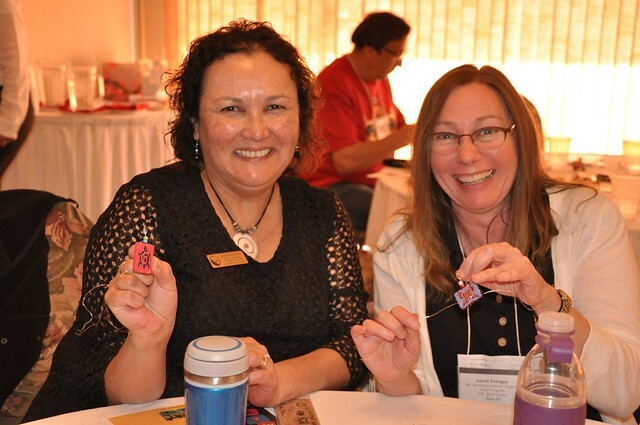 Over 750 educators from across the province participated in the First Nation Education Steering Committees (FNESC) conference as they celebrated their 25th anniversary. 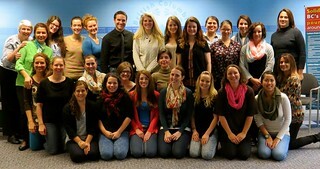 Project of Heart BC was featured as one of the workshops and was met with much enthusiasm. 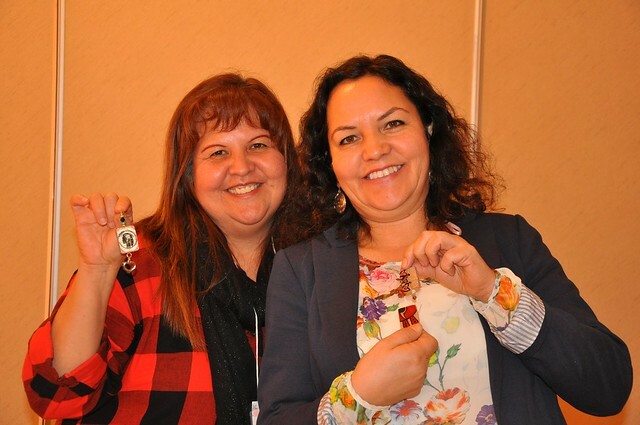 A new initiative created by Sylvia Smith in support of Justice For Indigenous Women was shared as one of many possible social justice actions that teachers and students may participate in. Judy Dunn and Noreen Pankewich visited Rolynda Simpson’s Grade 7 class at Juniper Ridge Elementary recently to share the experiential education of historical treaty-making, colonization, and resistance of Aboriginal Canadians. 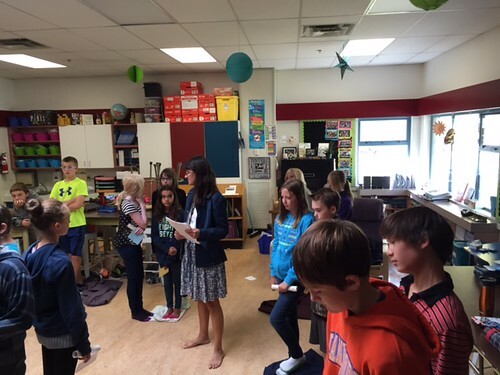 The Blanket Exercise serves to build awareness around social justice, and it also broadened the classes’ understanding as they begin their study of the novel, “My Name Is Seepeetza”. Participants of the Blanket Exercise represent the distinct cultures/sovereign nations of Canada’s original First Peoples. As students move onto the blankets, they are taken back in time prior to the arrival of the Europeans. The size of the blankets is reduced and often eliminated; in the same way that Aboriginal lands/populations have been over the past few hundred years. The Project of Heart canoe that has been adorned with over 6,000 tiles made by students across the province is now on display in the U’Mista Museum in Alert Bay. The museum is in the shadow of the St. Michael’s Residential school and is currently exhibiting a photo collection entitled “Speaking To Memory” by Beverly Brown. This is believed to be the only collection of photos taken by a child who was a student in a residential school in Canada. 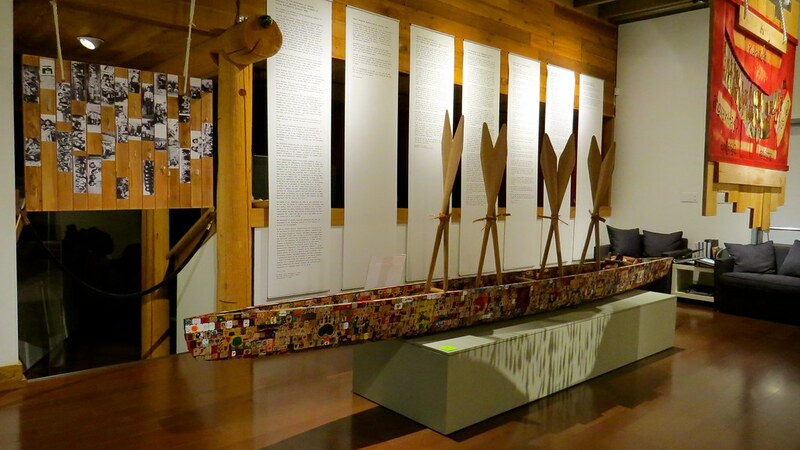 Museum visitors have found that the canoe offers a healing counterpoint to the harsh reality depicted in the photos. 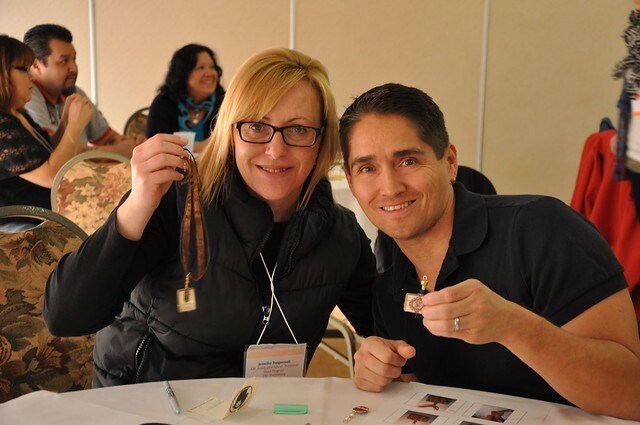 Students and teachers from across the province participated in the Project of Heart by teaching and learning about the sad legacy of Indian residential schools. 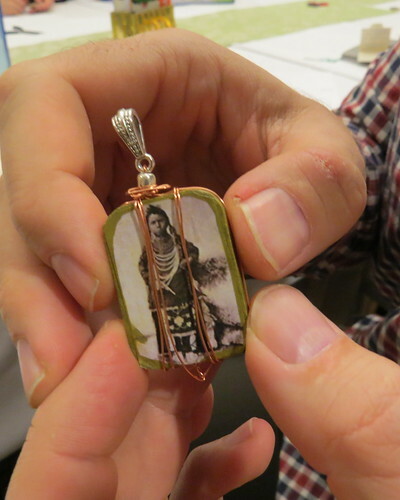 Students designed tiles to commemorate survivors of residential schools and those children who never returned home. The canoe will stay with the exhibit for the next year, after which time it will become available for exhibit in other locations. “I really enjoyed participating in the blanket exercise and found it to be a very good way to understand our Canadian history in a more visual, active way. “I did not have the chance to study much Aboriginal history in elementary and high school, our education was very focused on the Europeans. Most of what I know I have learned from reading articles, in films and talking to people. I have learned so much more these past two months of PDP and I feel this has been one of the greatest gifts of this program to me. 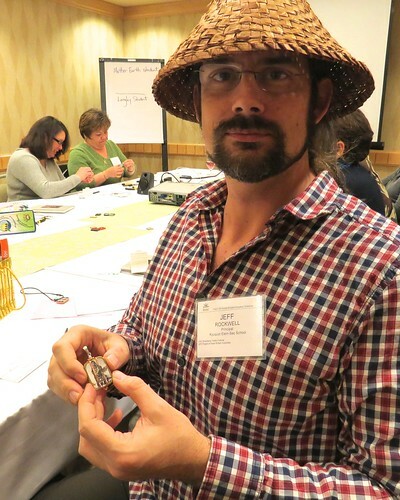 But I find every time we have a workshop about Aboriginal education I have more questions. 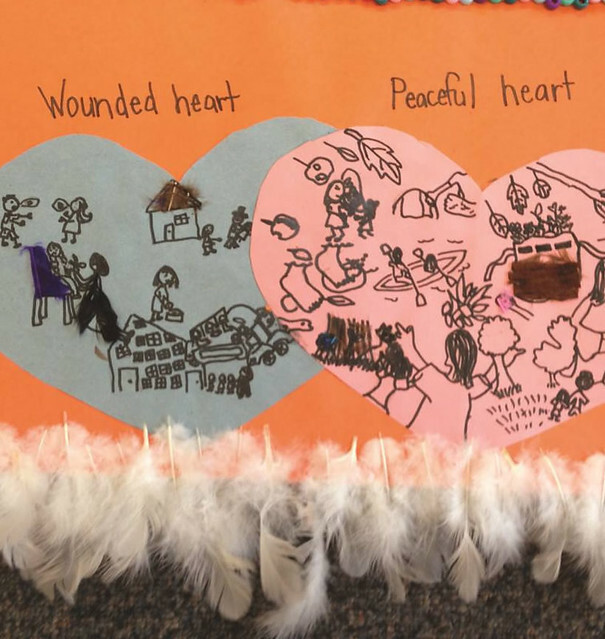 These hearts were designed by our Grade 2 and 3 students to depict peaceful images for Aboriginal people, and juxtapose this with hurtful imagery from their residential school history and experiences. A number of picture books about the negative impacts of residential schools upon Aboriginal people were read to the students. We discussed the racist laws imposed by the Canadian government that led to forcing Aboriginal families to give up their children to Indian Agents or face jail time. Students were already familiar with laws that banned potlatches and required Aboriginal people to give up their traditional reserves.